LIKE LIVING IN A RESORT! Waterfront, Furnished Villa in sought-after Moorings. Amenities include yard maintenance, basic cable, trash pick-up, boat parking & ramp, plus more! Come play, not work! Walk to heated salt-water pool or meet neighbors at Cabana. Play a little shuffleboard, 40 minutes to Gulf of Mexico for lunch then back for a round of golf. Glassed-in Florida Room is under air with view of canal, wildlife and easy living. Master Suite has walk-in closet, dual sinks, large counter and shower. Roomy kitchen can accommodate larger table for friends & family, plus dining area. Shopping, medical and downtown about 7 minutes away. Roof 2013. HVAC upgrade 2005. 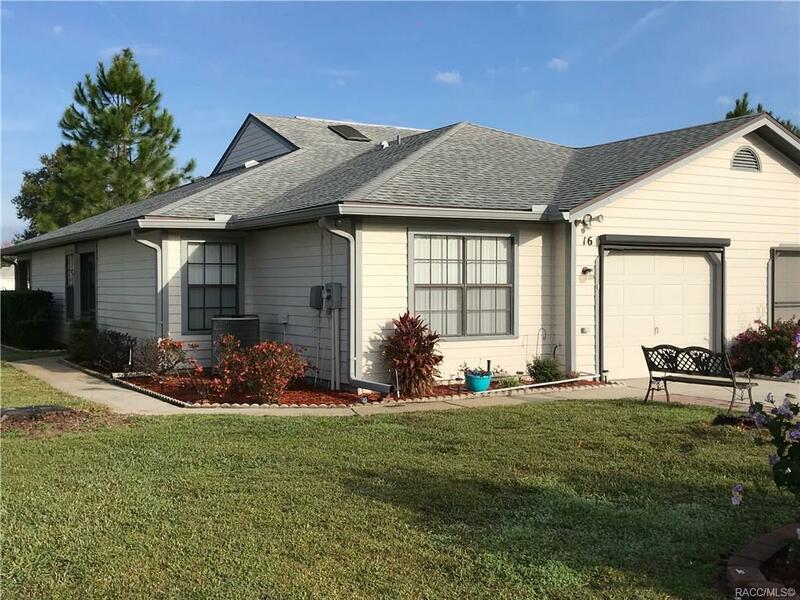 Great for snowbirds or full time resident. Directions: From E. Hwy. 44 Go North On Gospel Island Road About 1 Mi., R Into Moorings On Golf Harbor, L On Heron Creek And 2nd Villa On Right.